A life change, like a divorce, is the perfect opportunity to purge unwanted debris and influences from your life! Why continue to face reminders of the past or be bogged down with the weight of what used to be? Use your divorce as the springboard for an exciting fresh start with these three suggestions to help you “take out the trash from your marriage!”. 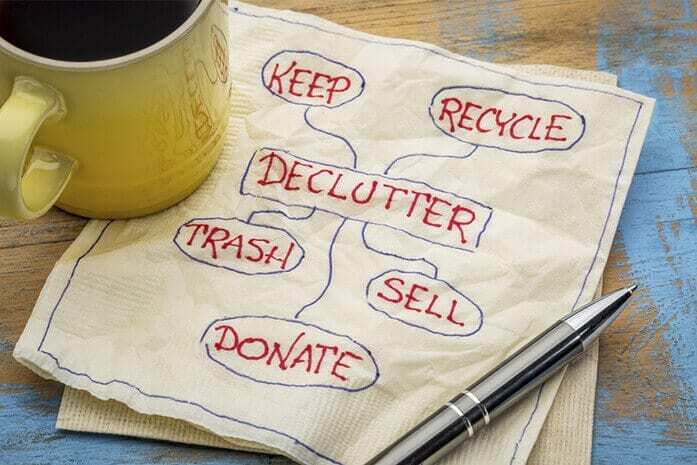 Consider using the organization method from TLC’s show “Clean Sweep” (circa 2005). 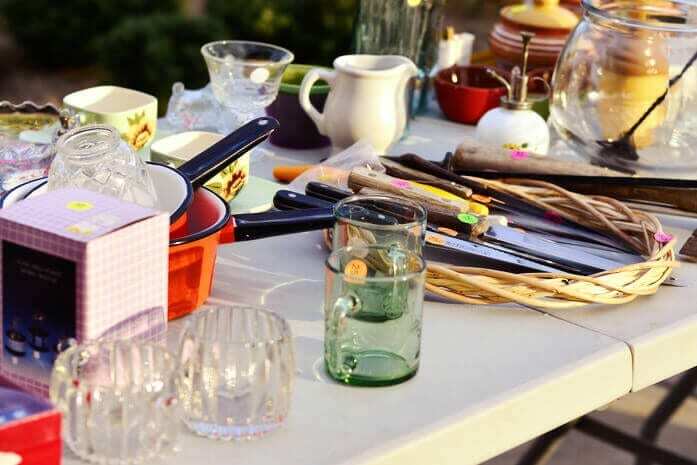 Separate your items into a “toss”, “sell”, or “keep” pile. Anything he leaves behind after dividing property is fair game! Pitch it, sell it, burn it, or whatever makes the most sense. Why clutter up your life with someone else’s memories or items that will only draw you back into your former life? Some things are literally junk (which may be why he didn’t even bother to take him), while other things might turn a profit. Still, other items may be appealing, yet they are tainted with the past. Decide if it’s worth it to keep something, knowing how it came into your life and what it represents. This is not the time to give in to your hoarder tendencies just because something was special to you once or has a monetary value. What role does a photo album or gifts from your time together or a wedding ring have in your life story? People have varying opinions about what to do with items like a wedding dress or ring. Some can’t bear to look at them because of the painful memories associated, while others perceive them as part of an individual’s history, and worth keeping. One woman advised me to store my wedding dress in a hope chest because it was part of the tapestry of my life. I know other women have donated theirs to projects that make gowns for stillborn or deceased infants for burial. Others enjoyed destroying their dresses at a divorce celebration, and it is not uncommon to try to sell a gown or other such memorabilia. Personally, as beautiful as a dress, ring, or other such items may be, they will always represent the relationship they were purchased and worn for! I couldn’t sell my ring fast enough because I wanted it out of my life and I needed the money to help me move and establish a new household. I can’t imagine making a point of unearthing these items to stroll down memory lane because I couldn’t be happier to be out of that marriage; but, this is a personal decision! If, like me, you decide to sell, at least do it right so that you get what you deserve! I look at the money earned from selling these sentimental items as a way of making something positive out of an otherwise ugly situation! The ring is the one item you stand to make the most money from selling. Bridal gown fashions change rapidly and it can be difficult to find a prospective bride with the same needs in your market. 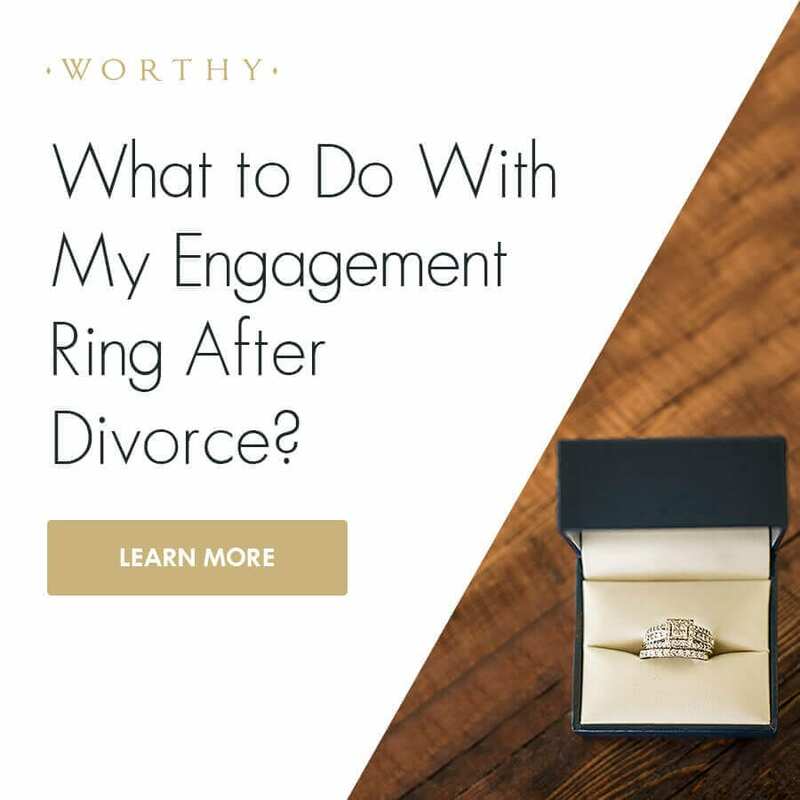 A ring, however, tends to have more timeless appeal, and you can easily use a service like Worthy to find a plethora of buyers willing to pay top dollar! Fair enough! She’s not stuck in the past; instead, she embraces the past with both the good and the bad, and acknowledges that all kinds of experiences add up to the woman she is today! Now, if you’re still sleeping with one of his shirts to remember his scent, we need to talk! Are you ready? It’s really just as simple as categorizing everything in your life (and not just physical property) as something to toss, something to sell, or something to keep. Feel the weight of the burden of unwanted items and unpleasant memories lift off of your shoulders as you make sense of the contents of your life, and be invigorated by the possibilities of ahead! Audrey Cade is the author of “Divorce Matters: help for hurting hearts and why divorce is sometimes the best decision” (on Amazon) and the matriarch of a blended family of eight. She is an experienced “divorce warrior” in the areas of co-parenting, step parenting, parental alienation, and re-marriage, and enjoys sharing these experiences with others who are also committed to raising happy and healthy kids. Audrey’s professional experience is as a case manager social worker with the developmentally disabled, families with young children, and homeless populations. She holds degrees in Early Childhood Education, Human Service & Management, and a Master’s in Psychology. She enjoys family outings, a variety of arts and crafts, cooking, gardening, and writing. She is a featured blogger for Divorced Moms, has work regularly appearing on Divorce Force, and articles appearing in Step Mom Magazine, The Good Men Project, and others. Dating After Divorce: What Are We Looking For?